What do rap shows, barbershop banter and Sunday services have in common? As Christopher Emdin says, they all hold the secret magic to enthrall and teach at the same time — and it’s a skill we often don't teach to educators. A longtime teacher himself, now a science advocate and cofounder of Science Genius B.A.T.T.L.E.S. with the GZA of the Wu-Tang Clan, Emdin offers a vision to make the classroom come alive. 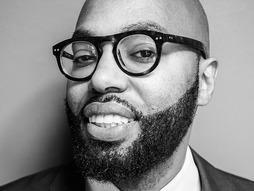 Christopher Emdin is a science advocate who uses hip-hop to make better teachers. Speaking at LIFT 2007, Sugata Mitra talks about his Hole in the Wall project. Young kids in this project figured out how to use a PC on their own — and then taught other kids. He asks, what else can children teach themselves? His wish: Build a School in the Cloud, where children can explore and learn from one another. Educational researcher Sugata Mitra is the winner of the 2013 TED Prize. His wish: Build a School in the Cloud, where children can explore and learn from one another.